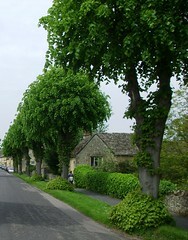 lots of pollards line the streets of quaint little English villages. Apparantly, pollards maintain a partially juvenille state, living longer than maiden trees. I wonder if haircuts work in the same way for humans? This scribble was published on Wednesday, May 27th, 2009. You can follow any banter on this scribble with the RSS 2.0 feed. You can share your inspired musings after typing the anti spam word near the bottom of the page. But no Pinging because its too naughty.